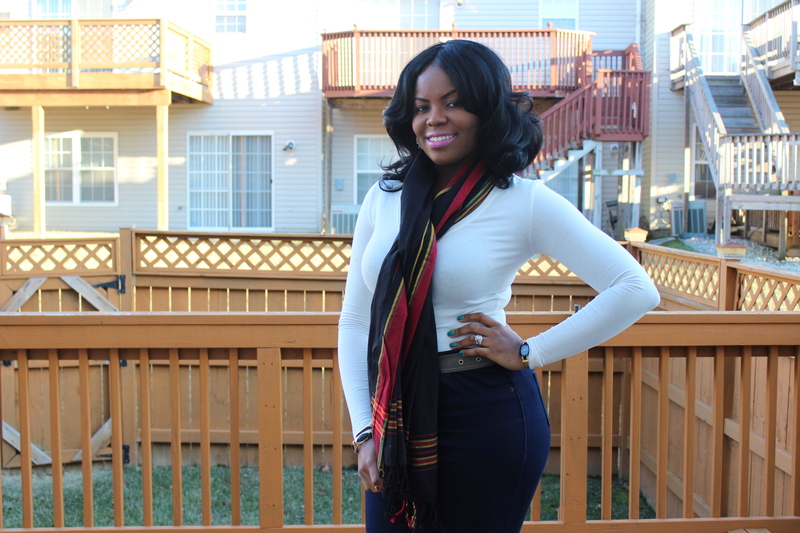 Woven African Scarf which matches the flag colors of countries like Angola, Ghana, Kenya and Uganda. 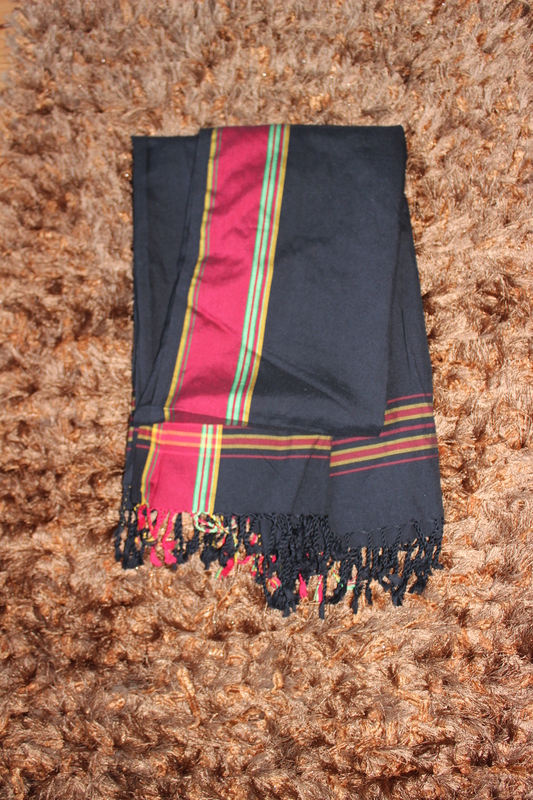 Categories: Accessories, Black & White, Prints and Colors, Scarfs, Women. 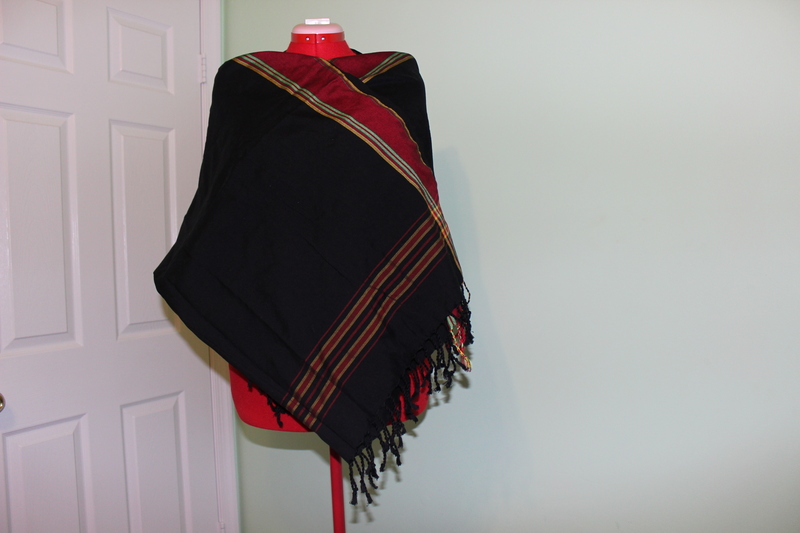 Black and Red African Woven scarf/shawl with hints of Green and Yellow threads which matches the flag colors of a few African countries. Measures 68″ length x 39″ width.